I'm a Ph.D. student in the Department of Computer Science in University of Illinois, Urbana Champaign, working with Professor Indranil Gupta in the Distributed Protocols Research Group (DPRG). My research interests mainly includes all aspects of distributed system, and I am now working on the multi-tendancy of graph processing system. My CV is shown here. 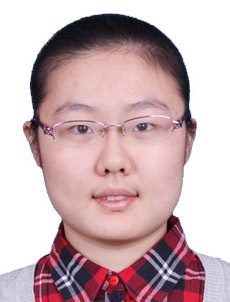 Before joining UIUC, I completed my undergraduate study in Shanghai Jiao Tong University, majored in Computer Science and Technology. Rui Yang, Xiaofeng Gao, Fan Wu, Guihai Chen, Distributed Algorithm for Full-View Barrier Camera Coverage with Rotatable Camera Sensors, IEEE Global Communications Conference (GLOBECOM), San Diego, CA, USA, December 6-10, 2015. Working on the topic of multi-tendency priority problem in graph processing clusters. Researched in the camera deployment problems in sensor networks.